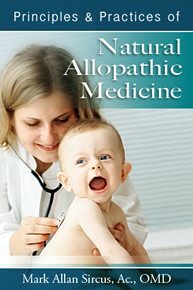 Natural Allopathic Medicine can be integrated into all types of health care no matter what kind of practitioner you are. It greatly increases the throw weight of doctors and healers alike enabling them to more effectively and safely treat serious life threatening illnesses like cancer, heart disease and neurological disorders like Autism, Parkinson’s and Alzheimer’s diseases - without resorting to dangerous pharmaceuticals, which in reality do little to resolve chronic syndromes. Natural Allopathic Medicine is the underlying concept that introduces a new paradigm in medicine that revolutionizes the fields of oncology, cardiology, pediatrics, infectious disease and neurology as well as the general practice of medicine. One of the hallmarks of Natural Allopathic Medicine is the bringing of certain emergency room and intensive care medicines to the world of chronic health care. Natural Allopathic Medicine reaches deeply into emergency rooms and intensive care wards for answers to chronic disease. In these medical areas we find that the best, safest and most reliable workhorse medicines are concentrated nutritional medicines, not pharmaceuticals. There is no comparison in using drugs with devastating side effects, even at low dosage, with concentrated natural nutritional substances like magnesium chloride, sodium bicarbonate and iodine that heal and nurture human physiology.